Known for its verdant nature and imposing views of the Atlantic Ocean, this Parks offers its visitors a one of a kind experience. 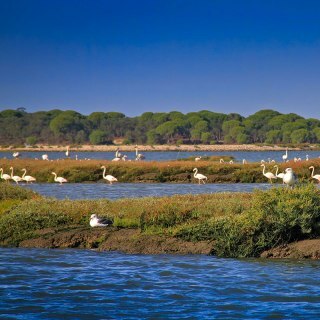 Known for its biodiversity, where the Sado River meets the sea, it is also the home to a bottlenose dolphin’s community. 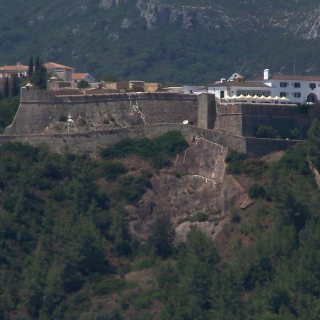 Built in the 16th century during the Spanish occupation. 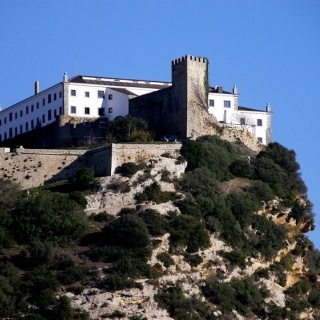 Today it is used as a hotel - called a 'pousada'. National Monument. 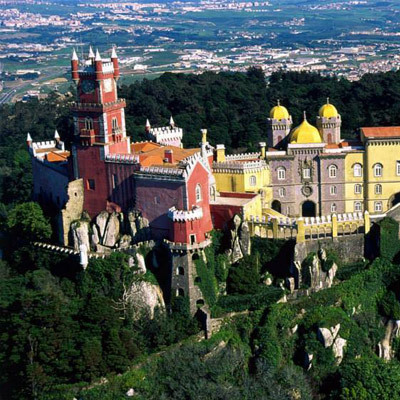 It belonged to the Moors and was reconquered by D. Afonso Henriques. 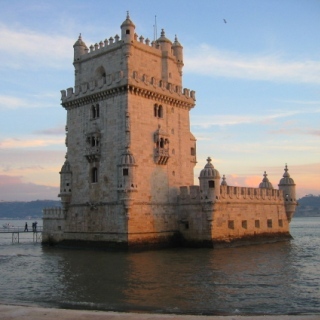 Nowadays it is a hotel, a 'Pousada'. 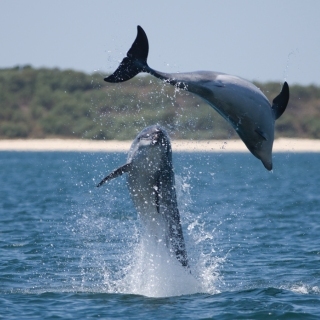 The bottlenose dolphin community that inhabits the Sado estuary can be seen in boat trips and it's a big local attraction. 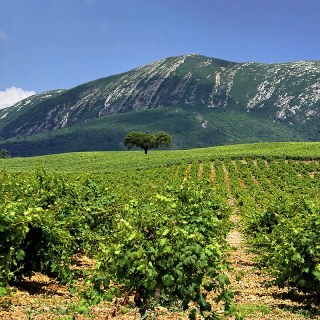 Setúbal is known for its wines and mostly for Setúbal's 'Moscatel'. You can observe and learn more about the vineyards in a local winery. A small and remote beach considered to be one of the country's most beautiful beaches. Great for diving and enjoying the crystal waters. The perfect place to enjoy the natural beauty while you have fun hiking, caving, geocaching and others. 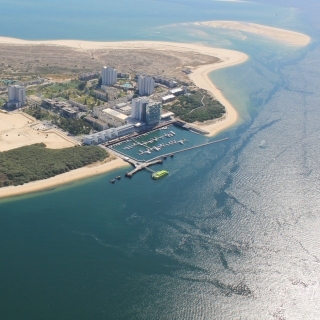 A long sandy peninsula, it is worth discovering its luxurious beaches. You can get there by car or by taking the ferry. A typical dish of Setúbal. 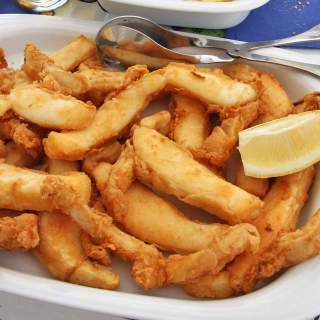 The fresh cuttlefish from the Sado River is sliced in strips and deep-fried. An emblematic wine of Setúbal Peninsula. Famous since the 12th century, it has been exported to England since 1381. 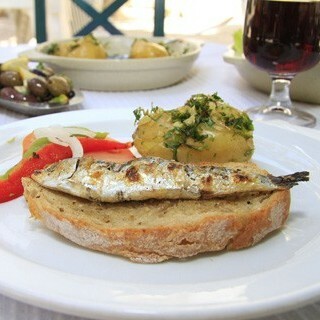 One of the 7 wonders of Portuguese gastronomy, Setúbal's grilled sardines are much appreciated. 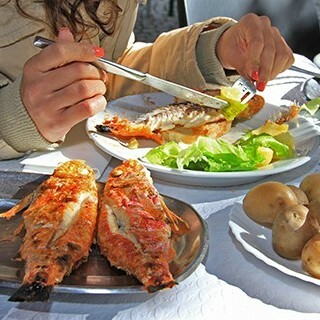 This grilled goatfish is a typical dish and a result of the abundant fresh fish in Setúbal. This sweet egg based pastries are a traditional Azeitão pastry and very enjoyed in Portugal. 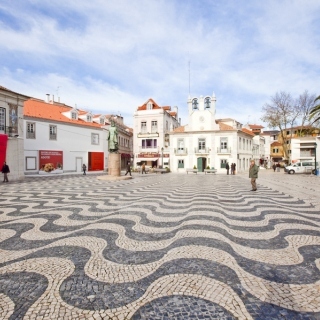 Azeitão is known for its local cheese, made out of sheep's milk and very famous in Portugal.